Want to connect with Smith? company that is detail oriented . 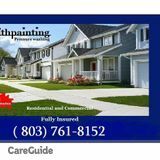 Muralist and interior exterior decorative painter. The job isn't completed until it meets your satisfaction.